I’m currently in New York. It’s one of my favourite places to be, as there’s always something to do, eat or discover. So for the next few days, I will aim to try and wax lyrical about what new and interesting things I’ve found. And the first thing? Now there’s PLENTY to talk about in this temple of kitchenware, but on their shelves was where I found Blackberry Farm Smoked Onion Jam. 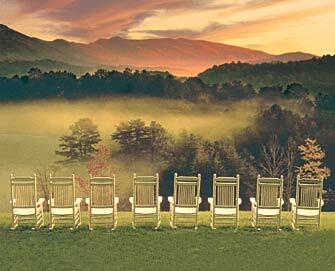 Blackberry Farm itself, is situated on a pastoral 4,200-acre estate in the Great Smoky Mountains. Founded in 1939, today it is a luxury hotel and resort with its own farm producing fresh produce, fruit, meat and cheese. Blackberry Farm’s renowned cuisine is definitely rooted in what comes from our farm as well as the region. Often described as Foothills Cuisine, it wanders the line between refined and rugged, borrowing from both haute cuisine and the foods indigenous to Blackberry’s Smoky Mountain heritage, which includes both the Cherokee Indians and the Appalachians. Owner Sam Beall, a chef by training, insists he will never be the chef at Blackberry Farm, championing the culinary arts is what he loves most and has done all of his life. He understands establishing culinary renown requires more than a particular specialty or one person’s touch. 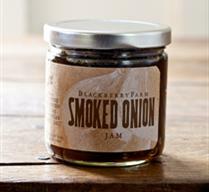 It is a rare collection of artisans — the chef, the master gardener, the baker, the cheese maker, the forger, the butcher, the jam lady, the chocolatier, the restaurant manager, the sommelier — who blend their unique talents to create Blackberry Farm and its wonderful bounty. The Smoked Onion Jam is made with sweet Georgia vidalia onions, which are slowly smoked to release their natural sweetness, then adding some white balsamic and benne seeds (similar to a sesame) and the result is this delicious jam, which is perfect in another typical American staple – grilled cheese! Previous Post A little Star. Next Post Romera New York – Neurogastronomy or Food Fetishism?